At Value City Furniture, we carry a wide selection of upholstery furniture from sofas, loveseats, and accent chairs, to leather sectionals, sleeper sofas, and recliners that can be customized with hundreds of fabric options! Some of our name brands, such as England and Klaussner, offer more custom options like accent pillows and welt cording. 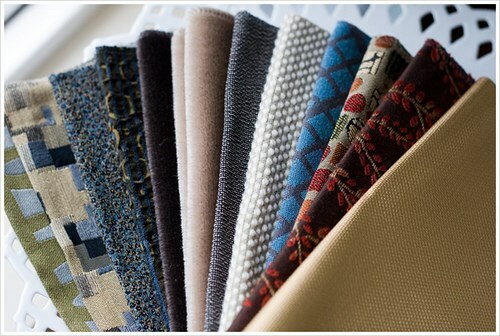 Multiple colors, patterns, fabrics and leather options allow you to design a home that is truly unique and truly you. If you're unsure of how to get started, contact your local store and we'll get you in touch with a designer who can help you customize the home of your dreams! Shop on our website, where you can find a huge selection of the custom upholstery we offer. Choose from many different seating options, ranging from sofas and sectionals to love seats and chairs. On sofas, customize the upholstery and try out different colors online before you buy. See the types of products we offer below and begin shopping! Didn't find what you're looking for online? When it comes to our custom upholstery selection at Baer's, you have the freedom to pick from hundreds of fabrics and leathers, making your furniture fit exactly to your needs. We recommend you stop into one of our stores today or contact us! Our specialized sales people will walk you through the entire experience!